With Membership Comes Great Rewards. When you become a member of Veterinary Growth Partners, you gain immediate access to a host of benefits proven to deliver a better bottom line, a stronger client base, a more robust practice – and fewer demands on your time and energy. It's easy to enjoy advantages of discounts on equipment, medical supplies, reference lab and pharmaceuticals or of the smart marketing tools we provide. The important elements we can bring to your success are our practice coaches, educational opportunities and the advanced tools that will help you define your professional and personal success. We use our negotiating expertise and keep it simple. ADP is a comprehensive global prover of cloud-based human capital management solutions that unite HR, payroll, talent, tax, and benefits administration; and a leader in business outsourcing services, analytics, and compliance expertise. ADP’s trusted turnkey solutions for payroll can help you break free from managing time-intensive administrative tasks and focus more on growing your practice. With more than 65 years as a payroll leader, ADP has partnered with hundreds of thousands of small and mid-size businesses, like yours, to help them better manage their cash, their people, their risk, and their time. Increase your profits with Antech Diagnostics. Antech offers incredible local service with 54 local labs nationwide and the benefits of the world’s largest veterinary diagnostic network. Antech employs 120 veterinary specialists for consultations in every discipline of veterinary medicine. Datamars is one of the largest international suppliers for companion animal microchips and scanners. Compared to other reputable microchip providers, the revolutionary Slim microchips are available at a lower cost and have NO annual fees or extra charges for the pet owner. Medi-Productions, Inc. is an international company focused on improving pet healthcare by enhancing client education to increase compliance. 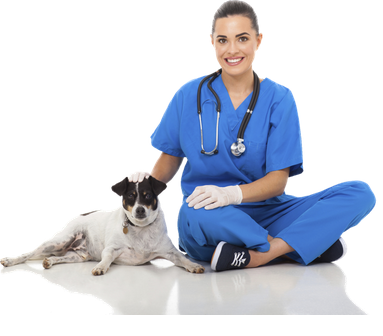 Medi-Productions offers a suite of products that help veterinarians and their staff engage with clients from the moment they enter the hospital waiting room, during their consultation, and even after they have left the practice. Medi-Productions' content library has over 1400 items and has been reviewed by a board of veterinarians before approval for use in the products. MediVet Biologics, the pioneers of the in-clinic stem cell therapy system (Acti-Stem) for veterinary practitioners, which allows for same-day regenerative medicine solutions for pets with degenerative diseases. MWI Animal Health serves as the core of the animal health division at AmerisourceBergen, distributing more than 50,000 products and providing related business management services. Contact MWI to order all of your pharmaceuticals, supplies, equipment and more – including the VetOne® and Securos Surgical® brands. Founded in 1968, Royal Canin is a pet food company grounded in science based on the principles of acquiring knowledge about pets, and creating advanced cat food and dog food made to satisfy the needs of the pet. Royal Canin produces a full line of healthy pet diets including size health nutrition and formulas designed to meet the individual needs of many popular breeds, sizes, lifestyles and therapeutic conditions. The SECUROS line of surgical instrumentation and orthopedic implants are recognized worldwide for our innovative designs, excellent quality, reliability and craftsmanship. Sound provides high-quality ultrasound and digital radiography equipment. The company produces the most widely accepted and widely used digital radiography and picture archive and communication system (PACS) in the veterinary industry. Terumo Medical Products manufactures superior quality hypodermics, IV catheters, micro-collection tubes and needle sets, with over 91 years in the business. Terumo is focused on safety and comfort for patients, as well as improving efficiency and effectiveness in your daily routines. The VetOne brand offers clinic supplies, retail products, equipment, and high volume-high profile FDA approved pharmaceuticals to meet the needs of veterinary clinics and their customers. Every product is backed by our 100% satisfaction guarantee. Wedgewood Pharmacy was established in 1980 and is based in Swedesboro, NJ. Over 70% of our nation’s veterinarians trust Wedgewood Pharmacy as their source for compounded preparations. Zoetis is the world’s largest Veterinary Pharmaceutical company,with over 300 quality products. Our members receive substantial rebates on popular Zoetis products including: all small animal Vaccines, Simparica, ProHeart6, Revolution, Rimadyl, Simplicef and more. Zoetis Diagnostics offers diagnostic tools and machines such as the Vetscan VS2 Chemistry Analyzer, Vetscan HM5 Hematology Analyzer, Vetscan VSpro for coagulation testing, and the hand-held Vetscan i-STAT 1 for blood-chemistry testing. Their consumable products include VetScan Rapid Tests, chemistry profiles, hematology reagents, VSpro Cartridges, and i-STAT cartridges. VetBiotek’s goal is to bring the most advanced and proprietary ingredients to the veterinary marketplace, and assist veterinarians in their management of dermatological and liver conditions, along with joint support. The VetBiotek management team has over 200 years of cumulative experience in the veterinary industry with a focus on dermatology products and nutritional supplements. Vetsource® provides innovative pharmacy, technology and business services to thousands of veterinary practices across the country, and we’ve been selected by VGP to provide your practice Home Delivery Pharmacy Services. Our human-grade institutional pharmacy offers products sourced directly from the manufacturers and shipped to clients’ front doors. Vetsource’s Home Delivery services, including AutoShip and RemindMeSM, help improve compliance, enhance client relationships and increase revenue. Continuing education, made simple and valuable. With continuing education in veterinary medicine a requirement in virtually every state, there's no shortage of medical courses available. What isn't as readily available is training and education on all the critical components of running a successful practice- except, that is, through Veterinary Growth Partners. Our training and education programs are wide-ranging and robust (and complimentary for VGP members). We have frequent workshops, exclusively for VGP members, on practice assessment and improvement. We offer substantive online courses that have been tested and proven in numerous practices. We also provide web-based, peer-reviewed continuing education for veterinarians and paraprofessionals. IGNITE is THE place for one-of-a-kind learning, job role resources, and sharing of best practices for your entire veterinary team. IGNITE members interact with their peers and our well-known experts. Our monthly practice management webinars are 30-45 minutes seminars on practice management topics that provide guidance and resources on how to implement our recommendations at your hospital. Topics include budgeting, inventory management, accountability for your team, improving morale and your staff culture, and implementing marketing plans for your business. Most veterinary practice owners and administrators can identify their company's problems pretty easily. It's a lot more challenging to develop and follow a plan to remedy the issues. And that's the purpose of Pathway Planning. Pathway Planning seminars, sponsored by Veterinary Growth Partners, are held several times a year in various locations at no charge to Veterinary Growth Partners members. Over the course of a weekend, attendees are engaged in building specific skills that help them operate their practices in ways that are more efficient, more profitable and more satisfying. Most come away with a whole new level of confidence and enthusiasm. You can take an educated guess at what to say in your marketing messages. You can assume the audience you reach is the one you want. You can cross your fingers and pray you're not wasting time, money and effort on a program that delivers marginal returns. Or you can use VGP's unique, proven, data-based tools that virtually ensure your marketing is an investment that pays for itself many times over. Tough choice, huh? There are three marketing tools, each with a number of features and benefits. They are available only to VGP members. LifeLearn Animal Health empowers veterinary clinics to optimize client communications, maximize efficiency and improve profitability using the LifeLearn ECOsystem, a comprehensive suite of customizable online solutions that advance animal health and education worldwide. Social Ordeals is a full service digital agency that helps local businesses succeed online. Our Local SEO services deliver higher online visibility and rankings. From monitoring and managing your online listings, reviews, and social marketing, to building and executing campaigns for any avenue of digital advertising (Google AdWords, Facebook Ads, Targeted Display, etc). We look forward to helping veterinarians and animal hospitals with any digital needs. When a potential client visits your website, social media page, or lobby, you want them to see and hear a message you can be proud of. Video is one of the most effective ways to influence a pet owner’s decision to use your services—a decision often based on emotion. 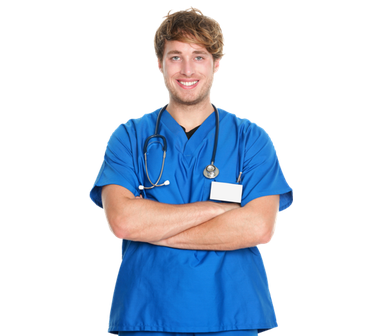 Veteos provides customized, high-quality, affordable, promotional videos for your practice. Call Box can show you how every call to your practice gets handled and give you the tools to improve your client experience. Get the metrics to show your owners, doctors, and practice managers the issues that are present, and give you the tools to correct performance. Run your practice instead of letting it run you. You worked really hard to become a veterinarian, but you may not have realized just how challenging it can be to manage a small business. Your focus has always been patient care, not spreadsheets, price negotiations or employee benefit packages. But someone has to manage the business, after all, so why take advantage of the tools and resources we can provide to realize an optimally managed practice? At the heart of VGP's management services is a Practice Health Assessment, which systematically evaluates business practices and helps you map a clear path to success by establishing and meeting key business metrics. Add to that our practice coaches and partner offerings so you can ensure that your practice runs smoothly, efficiently and profitably- without forcing you to develop systems from scratch and continually reinvent the wheel. Most veterinary practices face challenges in areas such as strategic planning, human resources and inventory management. Veterinary Growth Partnerss Practice Health Assessment is designed to lead practices down a Pathway to Success through a process of diagnostics, action plans and goal-setting, using a comprehensive inventory of business practices that Veterinary Growth Partners considers essential. Your assessment will be done in collaboration with a Veterinary Growth Partners practice coach who will guide you through every step of the process. Pathway Planner is an online tool that enables you to immediately turn your strategic plan into an action plan. It allows you to easily share the vital elements of your operating plan online, gives you a place to organize and report on your quarterly milestones—the goals that put you and your team on a 90-day accountability cycle. Practice Management Consulting, via practice coaches, is available to VGP members at no cost. The practice coach will work with you and your team members to help you improve your operations and increase your profitability. Topics assessed and addressed are core issues for any practice owner or manager. Additional services for additional revenue. As new products and services make their way into the veterinary marketplace—whether for taking care of patients or taking care of your practice—Veterinary Growth Partners will be studying the results, researching partners, negotiating terms, and making them available to our members. Two relatively recent additions—pet insurance and stem-cell therapy for severe osteoarthritis—are good examples. Founded solely as a lending bank for veterinarians, Live Oak Bank offers refinancing, funds to acquire a practice, and a discount on new construction loans. Seasoned lenders understand the challenges of the veterinary service industry and can streamline the process, making your interactions smooth and efficient. Credit card processing, debit card processing, check services, gift cards, loyalty card programs: Redstone handles all of it for you (with a discount on processing fees for Veterinary Growth Partners members). They even provide the necessary credit card terminals and PIN pads. Trupanion is the fastest-growing pet insurance company in North America. Trupanion offers a superior product; one simple plan covers 90% of the cost of care with no annual or lifetime limits. Building an insured base of pets means better care for your patients, and higher profits for your practice. Veterinary Credit Plans is a wellness-focused financial industry leader offering a comprehensive financial services platform. Veterinary Credit Plans Wellness Packages provide flexibility, allowing each practice to customize plan terms and down payment options, and much more.